John Nisbet was born in Newcastle in 1864. After leaving school he became a clerk with a colliery company. Nisbet married and in 1893 his wife gave birth to a girl named Cicely. Four years later, a second child, Lily, was born. Nisbet was appointed cashier of Stobswood Colliery. One of his jobs was to collect the wages of the colliery workers from a bank in Newcastle. On Friday, 18th March, 1910, Nisbet caught the 10.27 train from Newcastle Station to Widdrington Station with over £370 in a large leather bag. At Heaton Station Mrs Nisbet went onto the platform to say hello to her husband. She noticed there was another man in his carriage. She later identified this man as John Dickman. On 21st March, 1910, Dickman was arrested and questioned him about the murder of John Nisbet. He was searched and he was found to be carrying £17 9s 5d. The £370 stolen from Nisbet was never found. Nor did the police find the gun that killed Nisbet although they did find evidence that he had purchased a revolver in October 1909. At his trial John Dickman claimed that although he knew John Nisbet he did not travel with him on 18th March, 1910. He admitted that he travelled on the same train as Nisbet but not the same carriage. Dickman pointed out he bought a ticket to Stannington Station as he intended to visit William Hogg at Dovecot Colliery. However, he missed his station and got out at Morpeth Station instead. The prosecution made the point that the bag that Nisbet had used to carry the £370 was found at the bottom of Isabella Pit, a disused mine shaft near Morpeth. Charles Raven, a commercial traveller, claimed he knew both Dickman and Nisbet and saw them walking together on the way to Platform 5 of Newcastle Station. In court Dickman claimed he did not know Raven. Another witness, Wilson Hepple, had known Dickman for over twenty years. He claimed he saw Dickman get on the train with Nisbet. Hepple also confirmed that when the police reconstructed the crime, he correctly identified the carriage where Nisbet's body was found. Percival Hall, also a colliery cashier, took the same journey as Nisbet every Friday. He saw Nisbet at Newcastle Station with a man he later identified as Dickman. When he got out at Stannington Station he acknowledged Nisbet who was still on the train. Cicely Nisbet also identified John Dickman as the man sitting in the same carriage as her husband at Heaton Station. John Athey, the ticket collector who had been on duty at Morpeth confirmed that Dickman had got off the 10.27 train at his station. His ticket was for Stannington and so paid Athey the excess fare. Professor Robert Boland of Durham University gave evidence as a doctor of medicine. Boland had examined Dickman's clothing and argued that he had found blood on a glove and on a pair of trousers that he had worn on the day of the murder. Boland also pointed out in court that Dickman's Burberry overcoat shown signs of being rubbed vigorously with paraffin, a substance that was used at the time for removing blood stains. John Badcock gave evidence on behalf of the National Provincial Bank. He stated that at the time of Nisbet's murder, Dickman was overdrawn at the bank. Robert Sedcole on behalf of Lloyds Bank told a similar story. James Paisley of the Co-operative Society claimed that in October 1907 Annie Dickman had £73 in her account. However, by March 1910, this had fallen to £4. It seems that the £700 John Dickman had in 1906 had all been spent. Superintendent John Weddell also stated in court that when Dickman was searched after the murder he had tickets that showed he had several items with local pawnbrokers. John Dickman was the only defence witness. He admitted travelling on the 10.27 train on Friday 18th March, 1910. However, he denied sitting in the same carriage as John Nisbet. Dickman said he was so busy reading his newspaper he could not recall who else was in his carriage. Although he knew Nisbet he argued he was unaware that he collected the wages for the colliery every Friday. Dickman was found guilty of the murder of Nisbet on 6th July, 1910, and sentenced to death. Dickman responded to the verdict with the claim: "I can only repeat that I am entirely innocent of this cruel deed. I have no complicity in this crime, and I have spoken the truth in my evidence, and in everything I have said." A campaign was immediately started to get the verdict overturned. An advertisement appeared in national newspapers. "Execution of Dickman on purely circumstantial evidence. Protest by postcard to the Home Secretary, London. Sympathisers please repeat in local papers." On 27th July, 1910, the governor of Newcastle Prison received a letter signed by C.A. 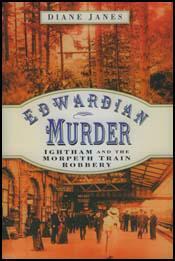 Mildoning, claiming that he had travelled with John Nisbet in the train from Newcastle, "shot him, then jumped out of the moving train in advance of Morpeth Station". It ended that "one murder is quite enough for me to do without being the cause of an innocent man being hung." 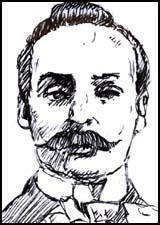 On 6th August, 1910, C. H. Norman published an article in the Daily News entitled Ought Dickman be Hanged. Norman was a member of the Society for Abolition of Capital Punishment and the Penal Reform League and led the campaign to get Dickman a retrial. However, his brother, William Dickman, wrote to the Newcastle Evening Chronicle and asked if anybody could possibly believe his brother was innocent unless they "looked at the evidence through smoked glasses." He added: "his own punishment will soon be over, but he has put a blot on the name of his family and all relatives will have to bear the disgrace, not for years, but for generations". The Home Secretary, Winston Churchill, took a keen interest in the case. He expressed doubts about the blood evidence and asked his civil servants to seek the opinion of another expert. Churchill also instructed Chief Constable Fullarton James to initiate further enquiries about who else got off the 10.27 train at Morpeth Station on the day of the murder. Churchill also examined the identification evidence. He wrote on the file: "I think Mrs Nisbet's evidence should be disregarded. The strong evidence is that of Raven, Hepple, Hall." Churchill eventually decided that Dickman should be executed. When he heard the news, Dickman told his wife that his conviction was "the greatest outrage ever perpetrated". C. H. Norman wrote to Winston Churchill arguing that: "Should Dickman be innocent... it would not disturb the digestion or appetite of the gentlemen responsible... to execute a man on suspicion... is a principle so immoral and horrible that it could only emanate from the minds of the Home Office staff". John Dickman and was hanged in Newcastle Prison on 10th August, 1910. The Newcastle Evening Chronicle reported that Dickman "marched to his execution as erect as a soldier, never flinching, even when the rope came into view." In 1925 a person called "Condor" confessed to killing John Nisbet. The document of 40,000 words spread over 205 pages was sent to Truth Magazine. The document was sent to the Home Office but they refused to order the police to discover who had written the confession. It was claimed by Diane Janes (Edwardian Murder) that the confession had been written by C. H. Norman. In 1949 Clement Atlee set up a Royal Commission to examine the issue of capital punishment. C. H. Norman sent the commission a memorandum concerning the case of John Dickman. He claimed that he had been in communication with Sir Sidney Orme Rowan-Hamilton, who had written a book about the case, The Trial of John Alexander Dickman (1914). According to Norman, Rowan-Hamilton claimed that Dickman not only killed John Nisbet but had been responsible for the death of Caroline Luard as well. In his memorandum Norman argued that Winston Churchill was a good friend of Charles Luard and took part in framing Dickman in order to punish him for killing Luard. The case against Dickman depended largely on the question of identification. As has been said, Charles Raven knew Dickman by sight but not by name. He knew Nisbet quite well and he saw both men walk towards the platform at Newcastle. But he did not see them enter the compartment together. Hepple, the artist, knew Dickman but did not know Nisbet. He was able to say he saw Dickman on the platform but that was all. Hall, one of the cashiers, knew Nisbet but not the prisoner. In evidence later he said that on 21st March he was taken to the Police Station and asked to pick out the prisoner from nine other men. He said that he picked out Dickman, saying as he did so, "If I was assured that the murderer was in amongst the nine men I would have no hesitation in picking the prisoner out." Counsel for the defence smelt a rat when this came out but nothing could be done at the time. After the trial enquiries were made on Home Office instructions and it appears that while Dickman was being questioned at the Police Station there were a number of policemen including two North Eastern Railway officers, in a corridor where Hall and Spink were waiting. An officer (never identified) suggested that Hall and Spink should go and have a look through the window of the room where Dickman was, and they did so. The door was also opened slightly for them to get a better view. In a report to the Home Office the Chief Constable of Northumberland said that Hall and Spink, when interviewed on the matter, denied that they had ever seen more than the back of the prisoner or that their identification had been influenced. There is not much doubt, however, that the evidence would not have been accepted at the trial if the circumstances had been known. Mrs. Nisbet was also involved in a curious incident. When giving evidence before the Magistrates at the preliminary hearing she fainted twice. Eight days afterwards she explained that on looking at the prisoner in the dock she saw his face from the same angle as she had seen it in the train and the shock of recognition caused her collapse. After the trial it was learned that Mrs. Nisbet had known Dickman by sight for years and had seen him not long before the murder. If this had been known the defence would probably have been able to knock the bottom out of her evidence.